James S. Miller, currently dean of admissions and financial aid at Bowdoin College, has been named dean of admission at Brown University, succeeding Michael Goldberger. Miller will begin his duties at Brown Aug. 29, 2005. PROVIDENCE, R.I. — James S. Miller, currently dean of admissions and financial aid at Bowdoin College in Brunswick, Me., has been appointed the Marilyn and Charles H. Doebler IV Dean of Admission at Brown University. 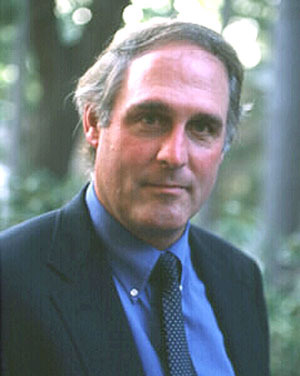 Miller, a 1973 graduate of Brown, will begin work at his alma mater Aug. 29, 2005. He succeeds Michael Goldberger, who is now Brown’s director of athletics. The Doebler Dean of Admission leads a staff of 20 admission officers and 18 support staff in identifying, recruiting and selecting the University’s incoming undergraduate classes. Applications to the undergraduate College currently number more than 16,000 for a matriculating class of approximately 1,450. The dean is Brown’s primary spokesperson for admission issues and takes a leadership role in establishing and interpreting admission policy, in setting admission criteria, and in overseeing the University’s communications with prospective students and their families. Miller will report to Provost Robert J. Zimmer and serve as a member of the President’s Executive Committee. He will work with the provost, the dean of the College and a variety of faculty and campus advisory committees to develop outreach, recruitment and selection programs that will yield a diverse and highly talented student body. Miller’s appointment is the result of a national search that began in April 2005. The selection committee was chaired by Provost Zimmer and included Paul Armstrong, dean of the College; Michael Bartini, director of financial aid; David Greene, vice president for campus life and student services; Karen Fischer, professor of geological sciences; and Marion Orr, professor of political science. Associate Provost Nancy Dunbar staffed the search. Miller graduated from Brown in 1973 (A.B., American history) and went on to earn a master’s degree in communications from Michigan State University. He began his career in higher education as an admissions and financial aid officer at Harvard in the fall of 1978, continuing there as associate director of financial aid and senior admissions officer (1980) and director of financial aid (1983). In 1999, after 16 years as Harvard’s director of financial aid, Miller returned to Brown as executive director of capital giving. In addition to his responsibilities for managing relationships with the University’s leading donors, Miller participated in a six-month review of Brown’s potential to achieve a need-blind admission program. He returned to the financial aid and admissions area first as a consultant on financial aid econometric modeling for The College Board and then, in the fall of 2001, as dean of admissions and financial aid for Bowdoin College. In addition to his work in admissions and financial aid, Miller served as one of the Bowdoin’s six senior officers, participating in budgeting and priority-setting across the college, from physical plant to academic planning, fundraising, alumni, student services and public relations.